Notes are important - they can help with organization and processing of information and can help you be more efficient during reviews. Your goal should be to make note taking as active as possible, giving you the greatest return on your time invested. Generally, you should aim to make them short, but include cues that will trigger your memory when reviewing. Write only what matters to you! If you already know something, you might not want to use the precious space in your notes. Your notes are twofold: to help you organize, understand, or encode the content and to serve as an aide during reviews. Keep these two functions in mind when thinking about note taking. The first step to taking notes is to prepare. This might sound tedious, but it is necessary. Decide if you'll take handwritten or electronic notes. Some research claims handwritten notes are better to help things stick in your memory, but electronic notes are easier to organize and search. See the tip sheet on Handwritten vs. Electronic Notes for further information on this topic. If you're going to use electronic notes, be sure to learn how to use your chosen application (evernote, onenote, dropbox paper, paper, simplenote, notability…). Also consider using text expansion to expedite your typing speed. Then, select which method you prefer. Taking notes while also listening in class can be tricky, so anything you can do to lessen strain on your cognitive load, you should. If the method you select requires a template (such as Cornell or Outlining) make it before going to class. Also, be sure to complete prereading so that you already have a framework to build on, organizing notes in real time during class easier will be easier. Think about what you already know about the class’ topic, so you can start to integrate the new information you receive with previous knowledge. During the note taking process you’ll be analyzing new content presented to you either in readings, videos, or class. You’ll have to develop a sense of what is important and needs to be written down versus what doesn’t. The goal isn’t to write verbatim, it is to understand concepts and evaluate and synthesize information. In fact, you should try to not write verbatim as much as possible. Putting notes in your own words will help improve your ability to retain information since it forces you to process the information before writing. After using your method, be sure to reflect on what worked and what might be improved for next time. Know that this might vary depending on setting. During prework try to get the overall theme/big picture. While prereading, you might use headings and subheadings to build a framework to help you organize information and determine importance. What are the general themes and topics? Look at the learning objectives provided as these are things to make sure you know. Also pay special attention to summaries, bullet lists, and terms and definitions. If you're aware of the overall framework prior to starting the week, you’ll be better able to organize information as you receive it all week long. During your prework start to take notes on topics you predict are important and applicable to the week’s theme. While in class, lab, and group pick out the most relevant information. Some professors will give hints by repeating information or asking specific questions. Also, keep in mind the objectives you reviewed before class and write down pertinent information related to those. Odds are you'll be writing quickly. You can use abbreviations but be consistent as not to confuse yourself. Try to understand as much as you can live, during your sessions. Combining verbal and visual information is called dual coding and is an effective way to retain information long term. Merging text, drawings, and pictures is one way to do this. 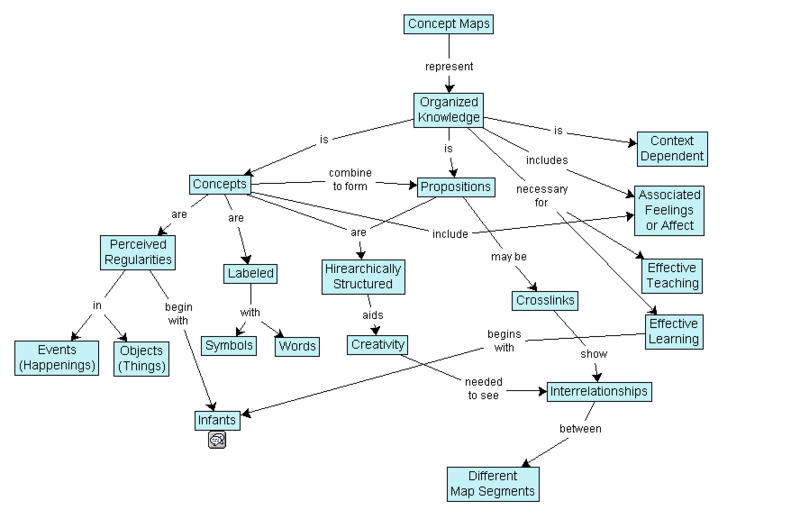 During prereading and class, instead of writing in just words, try to create concept maps, mindmaps, charts, tables, timelines, and cartoons. You might also consider sketchnoting. Come up with various ways to illustrate the information you’re studying. To make this method work during class, start with the main topic and branch out from there. Add subtopics as they’re presented and include any notes long the way. Dual coding helps you make connections and see how various topics might link together. The use of imagery and words together will not only help you explain more than words alone, but it has the added benefit of increasing retention of information since you’ll have more cues to draw upon, too! Dual coding can help make content that might seem abstract feel more concrete. When using these types of notes as a review, you might cover up the text and try to describe the picture. Alternatively, you can quiz yourself by drawing, then comparing to your written notes (sketching out biochem pathways is an example of this). Perhaps the most popular of all note taking methods is the Cornell Method. This method is useful for picking out key topics and staying organized. Split your paper into three sections: Notes, Cues, and Summary. Notes are what you’ll take in class, the traditional idea of what notes are. The Cues section will be completed after class- what where the main ideas? Do you have any lingering questions? Cues help distinguish what is happening in the notes section. In the Summary section do just that, summarize and reflect in a few sentences. This is a form of consolidation. This method also lends itself well to reviews using retrieval practice by simply covering up the Notes section and using the Cues to quiz yourself. The Sentence Method is great the class if moving quickly and the material is dense. The goal is to simply jot down a sentence for each topic- each sentence gets its own line- in the order presented in class. Keep your sentences short and concise and aim just for the main point of each topic. One drawback to this method is that it can become disorganized and at the end of the class you will be left with many sentences that you’ll be responsible for rearranging into a way that makes sense for you. Before going to class, construct an outline using what you learned during prework. Use headings and bullets to predict what will be taught. This method works well if you’ll be covering information that needs to be well organized. Relationships between various topics and subtopics are easy to identify when reviewing. You’ll also benefit from more engaged reviews since you can use the headings to quiz yourself, while hiding subtopics. The downfall is it is quite rigid. Consider using bold or a different color text to make high yield topics stand out. This is a method you might try while consolidating and synthesizing nightly or on the weekends. Use the notes you took during prereading and in class to summarize the main ideas. How do the notes from this topic fit with that topic? Start to link various days of content together. What is the golden thread that ties the content together?